THEORETICAL PHYSICS MYTHOLOGY OR THE MYTH OF THE BIG BANG!!! There are many preposterous concepts and theories which will probably never be proven in theoretical physics and the sooner we eliminate the BS the more logical and rational physics will become. Here are some concepts and theories which just don’t make any logical sense and it is primarily due the heavy reliance on mathematics which creates illogical singularities when applied to real life and it is fundamentally a result of not understanding the meaning of zero or nothing and infinity or never ending. What existed before the big bang creation and how was infinite energy concentrated at a singular point in space before the big bang? Why was the universe so hot at its inception? Why is the universe so uniform on a large scale with constant background radiation in whatever direction we look? This seems to suggest a somewhat homogeneous universe which has always existed in some form on a very large scale. Theoretically the expansion of the universe is actually increasing or accelerating. What is the origin of the repulsive source which is forcing the universe to accelerate? This leads one to suspect that the universe is not expanding at all but that assumptions about the speed of light being constant as it travels throughout the universe may be wrong and that the universe is not really expanding at all. The red shift may merely be different light velocities or a decrease in velocity which is observed as light travels over a spatial difference which theoretically may also be an amount of dark or unknown matter. In physics you need a source and a force to accelerate an object. What is the location of the source? Is it at the center of the universe which is pushing and accelerating the universe or is the source outside the universe pulling it outward? The Hubble telescope has proven that turbulence exists in the universe which violates general relativity assumptions on a universal scale but rather suggests that local parts of the universe are always mixing together and colliding and forming new galaxies, stars, and planets. There are about a hundred locations in the universe that we can see which have a blue shift so either the stars are moving towards the earth or the speed of light coming from them is faster than the speed of light on earth. All the above unanswered questions make it highly unlikely that the universe had a creation origin but more likely the universe has just existed forever and will exist forever in infinite space even though galaxies, suns, and planets may undergo birth (creation) and death cycles within the infinite universe. I could go on about the stupidity of or mythological theories such as bubble universes and worm holes but I will leave that to another blog article. This entry was posted in common sense and tagged acceleration, big bang, common sense, energy, galaxies, infinity, planets, suns, truth, zero on February 18, 2019 by uldissprogis. You can deplete your supply of food and be left without any or you can almost deplete your energy and be dead tired and ready for sleep. 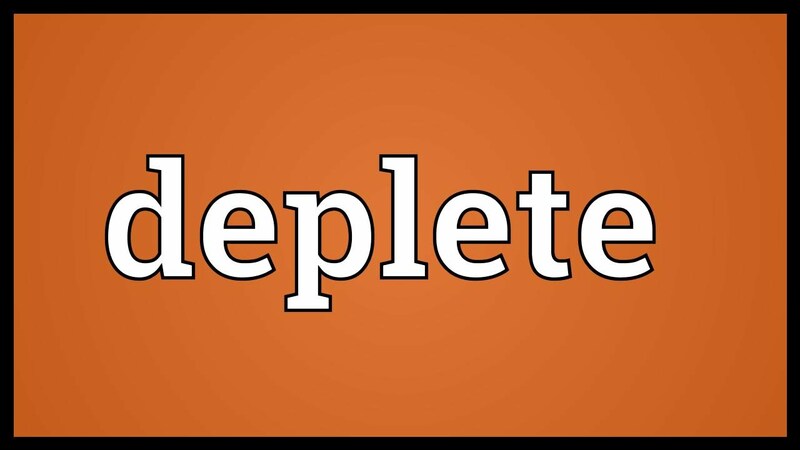 Depletion means starting with something and eventually or suddenly decreasing the amount to zero. If you liked this evergreen truth blog then read more of them, about 2400 so far, or read one or more of my evergreen truth books, especially COMMON SENSE, rays of truth in a human world filled with myths and deceptions. This entry was posted in common sense, education, science, society and tagged common sense, decrease, deplete, education, language, quantity, science, society, the truth about deplete, words, zero on November 8, 2015 by uldissprogis. Theoretical physics is the realm of modern mythology which is untrue because using mathematics as a tool no one really understands what an infinitely small point in space or zero is and no one understands what infinity is. If infinity is a boundary then what lies beyond infinity? String theory and all other physical equations which try to deal with zero and infinity have one or more singularities or unanswered questions. A point in space has infinite frequency and/or mass and/or energy and/or gravity. Well if it is a point or zero then it can’t contain infinite frequency and/or mass and/or energy and/or gravity because infinite frequency and/or mass and/or energy and/or gravity can’t be bounded by a point or any boundary. 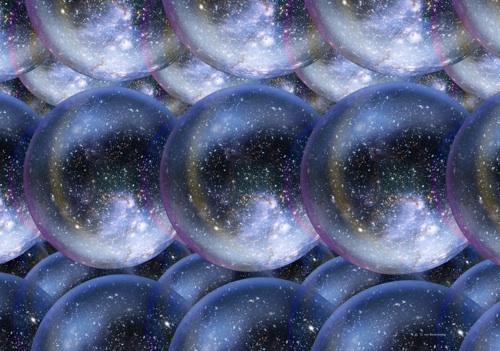 One absurd notion or inference from string theory is that there are an infinite number of bubble universes or parallel universes separated by worm holes with infinite frequency and/or mass and/or energy and/or gravity. Well if a universe is really infinite then it can’t be a bubble because a bubble has a finite boundary and not an infinite one. Finite boundaries are not infinite ones. Trying to describe multiple universes is an absurdity because infinity is not a boundary but should go on forever. If two or more bubble universes expanded infinitely they would crash into each other and become one!!!!!! The same applies to parallel universes. If they would expand infinitely as they should then they would crash into each other and become one! It is an absurdity to think that you can physically pass through a wormhole which is ZERO and has infinite frequency and/or mass and/or energy and/or gravity. The big bang is a myth because the universe did not originate from a wormhole or zero!!!!!! It has probably been around for an infinite time in the past and will continue to exist for an infinite time in the future. The universe probably has no beginning or end! Theoretical physicist are stupidly playing around with the concepts of dark gravity, dark matter, and dark energy which can’t be measured or detected by scientific instruments which are the only source of potential proof of concepts. How can you possibly make a mathematical formula for something which has no boundaries and can’t count!!!!!! It is time that we as humans admitted that we just aren’t smart enough to further theorize about the workings of the universe in an accurate realistic way and that we have reached the limits of our understanding. Theoretical physicists are replacing religious mythology about creation with armies of gullible followers and in reality should be reeducated or should join the unemployment line along with many others. You are all fired!!!!!! Get out of our lives with your BS! This entry was posted in common sense, education, science, society and tagged bubble universes, common sense, education, infinity, science, singularities, society, the truth about theoretical physics, theoretical physics, truth, universe, zero on February 23, 2014 by uldissprogis.